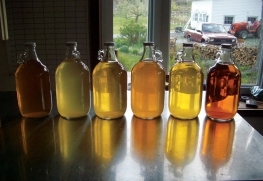 Aaron Burr Cidery crafts a traditional hard cider in Sullivan County, New York using uncultivated apples, many that are foraged from specific sites and bottled in exploration of what nature provides. Five years ago Wigle started making their Walkabout Apple Whiskey to celebrate Pennsylvania's apple tradition. 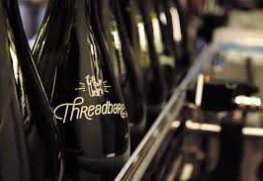 From that project, Threadbare Ciders was born. Brought to you from the same people who brought you Wigle, Threadbare focuses on celebrating Pennyslvania cider making, working with local orchards to make small batch ciders. 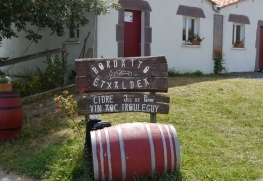 Bordatto’s Bitxinxo Aphaule started his career as a winemaker but soon fell in love with cider. He founded Bordatto with the idea that he could craft a better cider by applying farming methods utilized in vineyards to apple orchards. 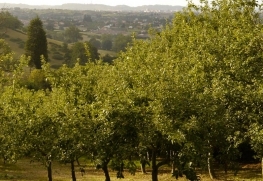 Terroir is often overlooked when people talk about cider but Bitxinxo feels that characteristics of the site such as soil, orientation, tree age and varietal are just as important to cider, as they are to wine and he’s out to prove it. 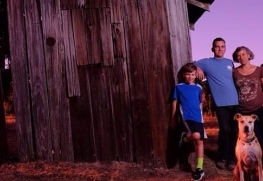 Established in 1925 by Emilio Trabanco, and built upon the family's home brewing practice, the Trabanco cider house oversees all aspects of production, from the planting of orchards to the bottling and distribution. 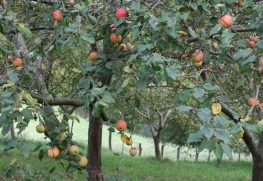 An old family estate, the Isastegi farms originally supported livestock, but in 1983, the family switched from cattle to apple trees, so that they might extend the reach of their cider to the public. Building on the traditions of the Virginia Blue Ridge Mountains, Foggy Ridge is a “farmer cider” not a factory cider—they hand pick and press, ferment slowly, blend carefully and bottle by hand.